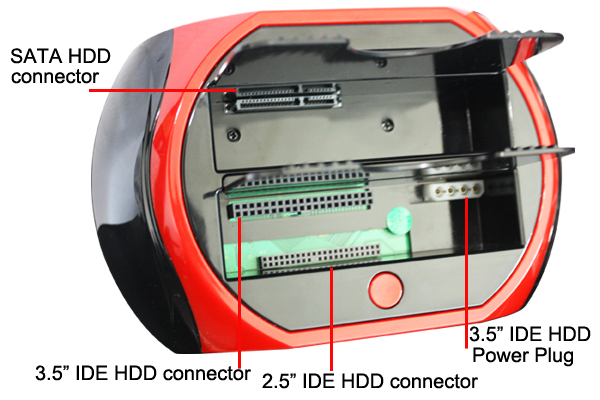 Where can I find ebay All in 1 hdd docking station drivers / software download? The models below are the typical ebay sold all in 1 hdd docking station, other models are not supported on this page and we do NOT offer support other than the information that is on this page. We have no affiliation with the manufacturer whatsoever. 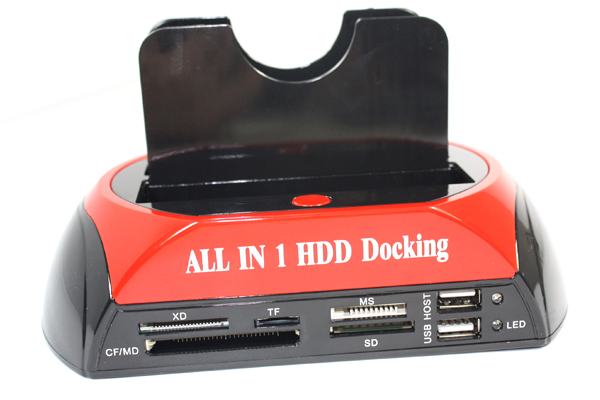 This page is a free page offering what information we know about the All in 1 HDD docking station. ​If your All-in-1 docking station is not recognised when you plug it in, then you have another problem, I have now tested the 875 on Windows 10 and it works just fine. However, there is the possibility it may not work with USB3 ports depending on your model so bear these in mind. Just a side note for those that have an IDE WD drive and you can't access it - Western Digital IDE drives are NOT compatible. I have tested a later SATA WD drive and they work fine. I'm not sure if the power supply is rated at a high enough Ampage for all in 1 HDD docking stations listed here. I misplaced my power supply and tried a 12v 1A supply which I thought came with the docking station but it didn't read drives, so i used a 12v 3A power supply, plugged it into the rear of the PC (not a hub) and hey presto. So another thing to try before sending your All in 1 HDD Docking Station back to your supplier is to try a higher rated PSU. The Amps can be anything because the device will only draw what it needs, so if it is 12v and 3A/4A/5A then it's fine, but if the current (Amps) is too low, it will still try and draw what it needs from the power supply and this will cause problems. The device may light up, but won't work and the PSU will get hot and eventually fail. This applies to any electrical device - the voltage has to be correct +/- 5% but the Ampage can be much higher and won't harm your device as long as it at least the minimum required to turn on your electronic device. So just a tip for you. 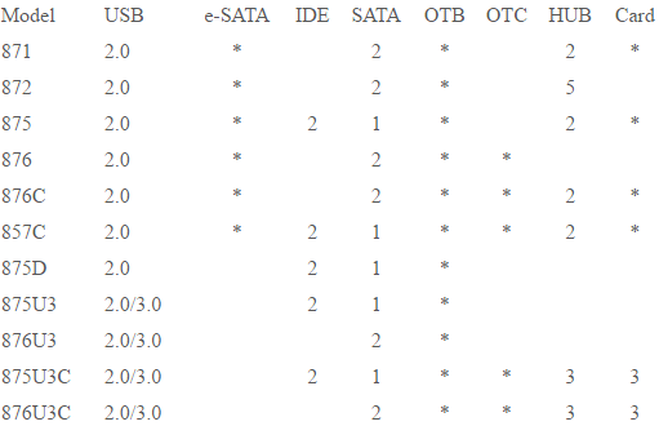 See table below the download links for more info on your specific model of all in 1 HDD docking station. It will tell you if it is compatible with USB3. Unfortunately I only have info from the 871 - 876 All in 1 HDD docking stations, but will endeavour to find out more info on the other models. The complete PC clone software list on the supplied All in 1 HDD docking station CD is below - select your model and download file. Please note this is the PC Clone software for one touch backup and NOT a device driver - as stated earlier, this is not needed. If you do not have a ZIP program to unzip the file, see our Free software downloads page for the link to '7-zip'. ​Please use our forum if you have any queries on the All in 1 Docking station / drivers, and see if anyone can help - or use our NEW comments box at the bottom of this page. 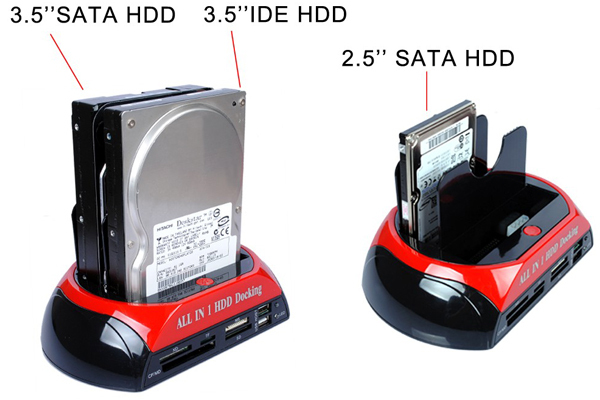 Please note we do not give 1-1 support for these all in 1 HDD docking stations - all of the information we know about them is on this page. Please contact your point of purchase or see our forum if you need additional help.